Exposure: 24 x 10 sec, 12 x 25 sec Luminance Exposure with IR Block. 16 x 6 sec RGB Exposures. Processing: Images were captured and aligned in K3CCDTools and saved as FITS. Luminance and Color master frames were co-registered in Astroart with some low pass filtering. Luminance and Color FITS were combined in Photoshop with some Luminance Layering. Star bloating was reduced with the 10 sec Luminance exposure. 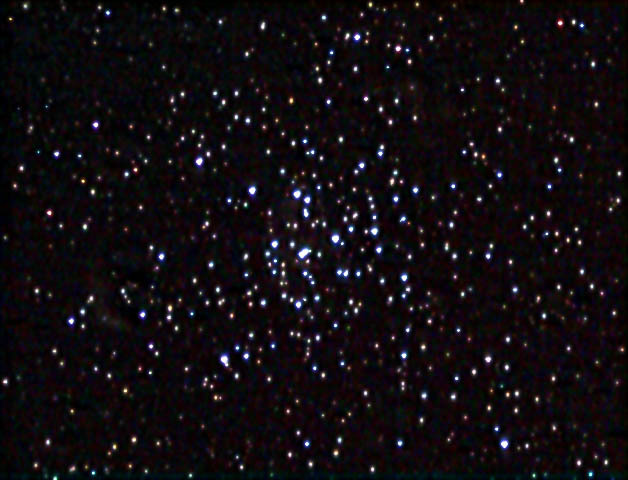 The 24 sec Luminance exposure had a good deal of sky glow and was mainly used for depth. Final touches in Photoshop.